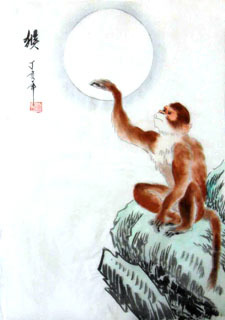 Monkey: one of the holy animals. 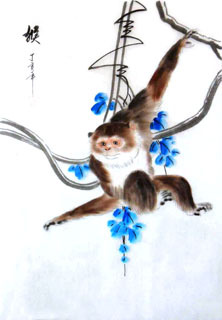 It symbolizes intelligence, health and vitality. 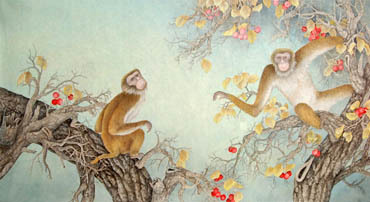 Monkey is very intelligent, witty and endearing. 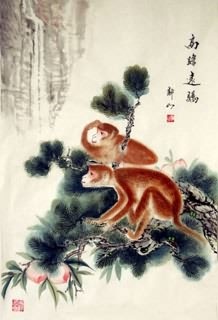 As an auspicious animal, monkey can be directly used to express the wishes for smart and intelligent descendants. 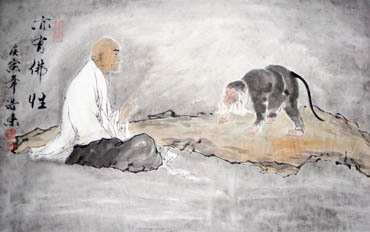 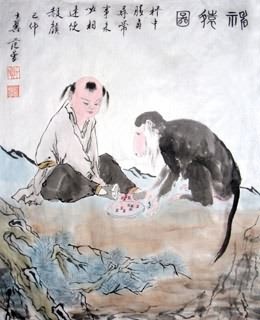 Chinese Monkey Painting/Scroll: In ancient China, monkey was regarded as a mascot since "monkey(猴)" sounds like the word "marquis(侯)" in Chinese, so it symbolizes marquis and nobile-ranking, and it is used to express the wish to become a high-ranking official. 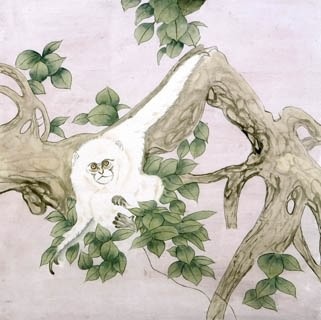 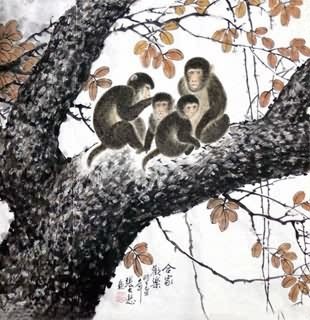 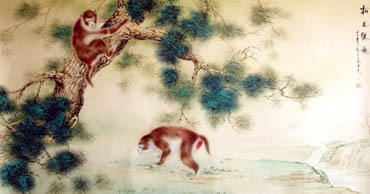 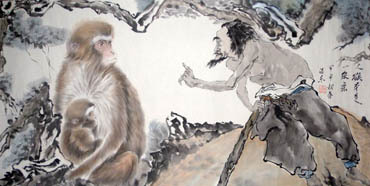 Chinese Fengshui Painting of A monkey Hanging a Seal on a Tree: Feng hou gua yin(封侯挂印). 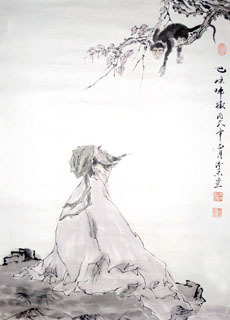 The painting symbolizes that the emperor awarded the seal(higher title) to his liegeman in feudal China, so it implies the promotion. 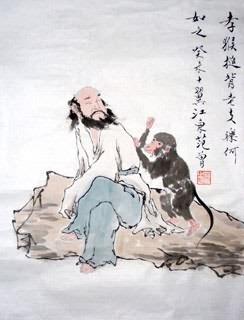 A Big Monkey Carrying a Small Monkey on the Back Chinese Painting: Bei bei feng hou(辈辈封侯). 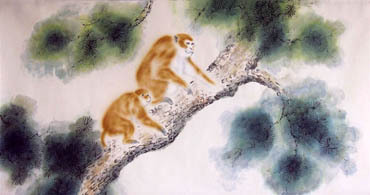 This combination image symbolizes "high official position and salary generation after generation". 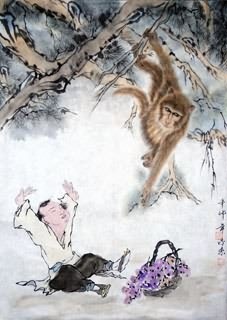 Chinese A Monkey Riding a Horse Feng Shui Painting: Ma shang feng hou(马上封侯). 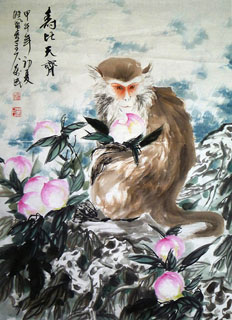 This combination picture implies the wish to become a high-ranking official soon, or to be appointed a marquis at once. 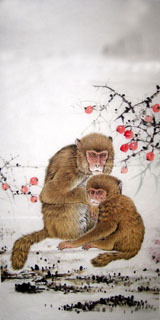 InkDance Price: USD 426 /GBP 350 /EUR 405 Sold, you can customize it. 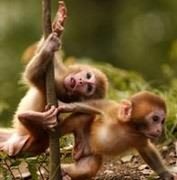 InkDance Price: USD 467 /GBP 383 /EUR 444 Sold, you can customize it.